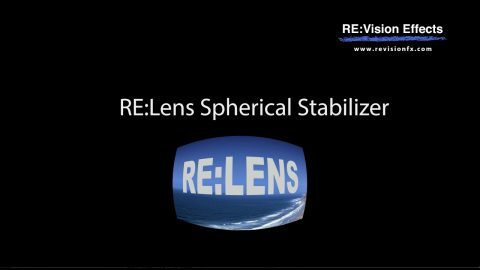 RE:Lens' spherical stabilizer reduces shakiness in 360 VR and fisheye footage that regular stabilizers are unable to fix. Simply press "Track" and the footage is analyzed without the need for a complicated workflow. Stabilization is easy to use! Simply press "Track" and the footage is analyzed without the need for a complicated workflow. 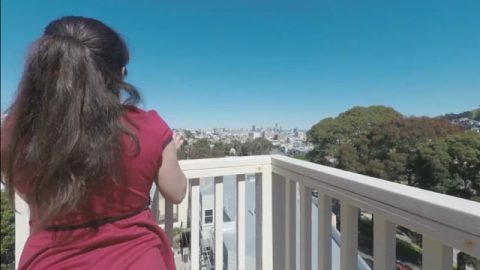 Works directly on your 360 VR and fisheye footage with no need for projection onto cube faces, or managing tracking points manually. RE:Lens tracks and stabilizes global camera orientations, which is needed when working with 360 VR and fisheye video. Track once and optionally modify the stabilization profile to your liking. Installed plug-in will work with DaVinci Resolve 15.1.1 (and up), Fusion Studio 8.0 (and up), HitFilm 10.0 (and up), Natron 2.2.4 (and up), Nuke 7.0 (and up), Scratch 8.6.944 (and up), and Silhouette 6.1.3 (and up). Installed plug-in will work with Nuke 7.0 (and up), Fusion Studio 8.0 (and up), Scratch 8.6.944 (and up), Natron 2.2.4 (and up), Silhouette 6.1.3 (and up), DaVinci Resolve 15.1.1 (and up), and HitFilm 10.0 (and up). Render-only licensing is for use with command-line "headless" execution. Note that the RE:Lens render-only licenses only work on projects written with an interactive license (so you must have at least one standard, floating or Non-Floating interactive license for the render-only licenses to be valid).